There is no cover for this show. Come have a great time! 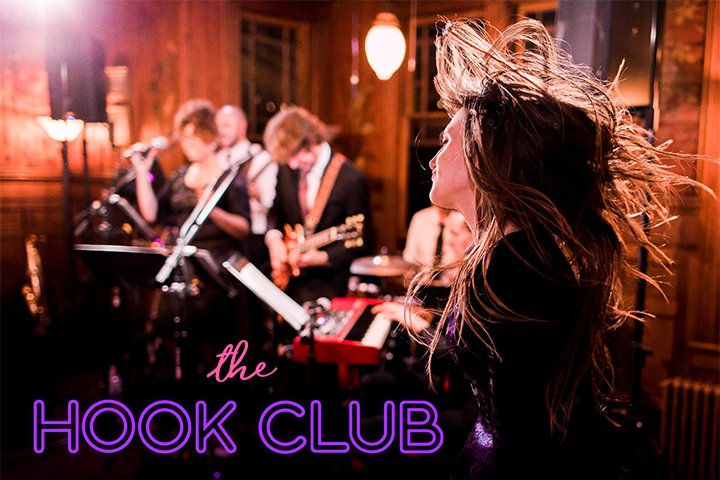 Using engaging musical arrangements and a wide range of instruments and music technology, The Hook Club stretches the boundaries of live music into experiences that delight crowds for hours on end. Made up of some of the top young musicians in NYC, our unique approach to party music creates a sound unlike anything you’ve heard before. Visit our site www.thehookclub.band to watch our videos, and make sure to come out and dance with us!